In this consumer-driven market two of the things that costumers always look for is convenience accessibility. People want to be able to get what they need whenever and wherever they happen to be. Technology’s answer to this demand are mobile devices. A mobile device, also known as hand-held device or converged device, is a pocket sized computing device that allows people to do at least one or a combination of the following things: play games, take pictures/videos, make calls, type documents, read ebooks, surf the internet and so much more. It is hard to enumerate the things you can do with different mobile devices since new technologies are sprouting so fast resulting in new kinds of mobile devices capable of new things. The rapid pace in which mobile devices is very obvious. Just a few decades back the mobile phones that are used on a daily basis now was more sci-fi than reality. They were things Trekkers daydreamed about and many ordinary people felt was ages away from being discovered. In fact walkie talkies weren’t invented until the 1940s. Mobile phones with direct dialing arrived a decade later in the 1950s with the first successful public commercial mobile phone network not arriving till the 70s in Finland. In the US it was only in 1983 that the first handheld mobile phone came thanks to Motorola. Soon after the first mobile phone, the Motorola DynaTac, more analog mobile models were developed. These phones are the first generation mobile phone (1G0. 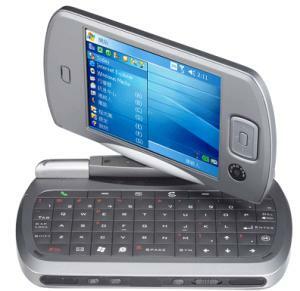 The development of mobile phones gained even more momentum in the 90s and the second generation (2G) phone started coming out model after model. It was also in the 1990s that the first digital mobile phone was made and the first GSM network opened. Come the 21st century an new mobile phone technology called 3G (third generation) emerged making the features offered even by 2G phones pale by comparison. 3G phones allow for transimission speeds of 384 Kbps for mobile systems and as much as up to 2 Mbps for stationary systems! Because of this 3G phones offer unparalled data services so that live streaming of online videos and even TV shows are possible. With all the advances in mobile technology we can only imagine the things that we can do with our phones a few years from now.